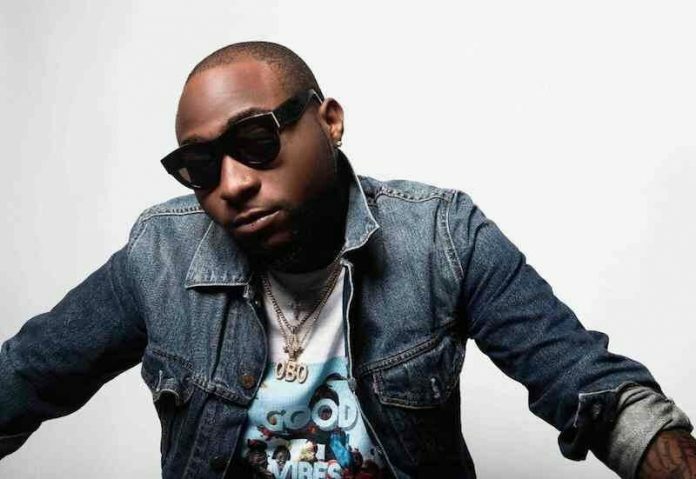 Nigerian pop superstar Davido has been in the center of the political happenings in his native Osun State. 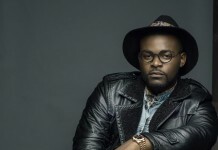 The singer born David Adeleke has been strongly pushing the campaign for the emergence of his uncle Senator Ademola Adeleke to become the next governor of Osun State under the Peoples Democratic Party (PDP). 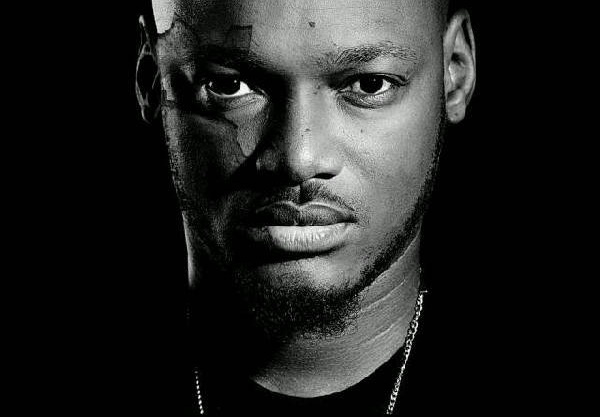 For about a week ahead of the election the music star has being performing at Ede, Ilesha and Oshogbo to sway electorates in favour of his uncle. Unfortunately the gubernatorial election was declared inconclusive with a re-run coming up on Thursday. 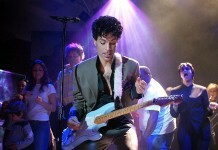 Because of his near heroic deeds and total support for his uncle, big wigs of the PDP Senator Ben Bruce, and former aid to President Jonathan have heaped encomium on the singer. 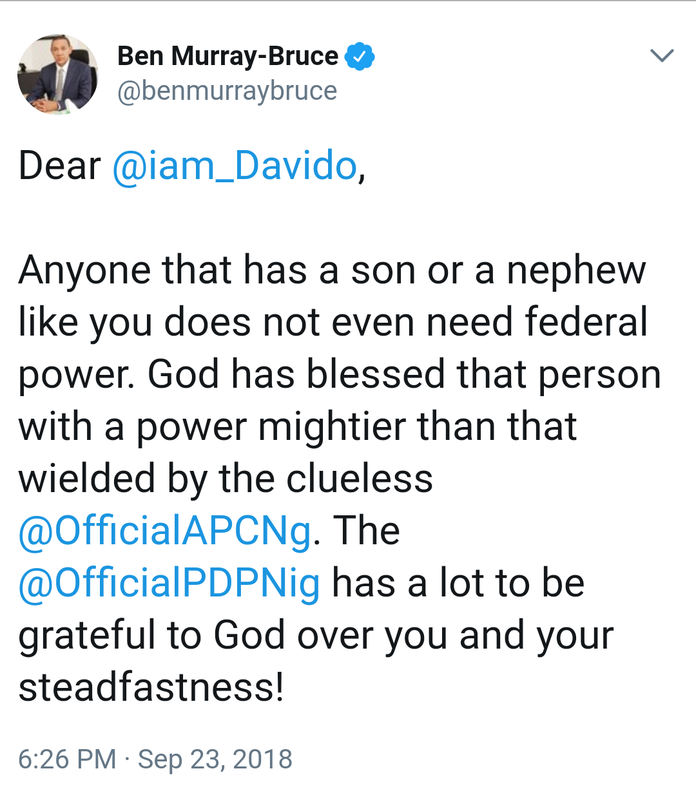 Ben Bruce praised his efforts in the campaigns saying Davido was worth more than federal might. 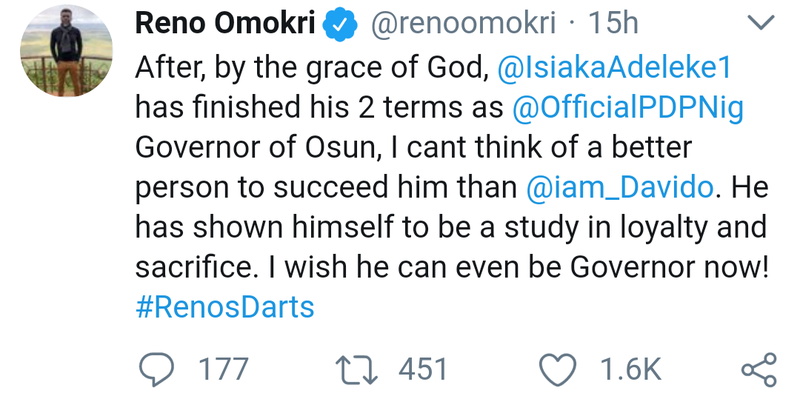 Meanwhile Reno Omokri said his loyalty and sacrifices was worth emulating while tipping him to become a governor in Osun State some day.